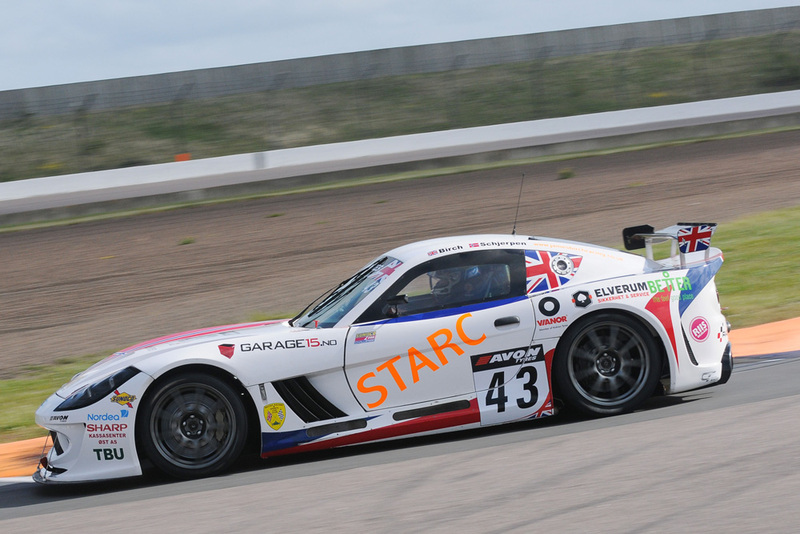 After a weekend of mixed results at Oulton Park, Century Motorsport were keen to ensure they scored some solid points at Rockingham for the season’s first two hour race of the season. Saturday turned out to be a productive day for the team, working hard on setup and data analysis with both drivers during the morning’s pair of Free Practice sessions. Confident they had found a suitable balance, starting positions for Sunday’s 120-minute encounter would be based upon a combination of both driver’s times from qualifying. A solid run from both Aleksander and James would see them place their car ninth on the grid for Sunday afternoon’s race. Sunday morning would present an all-new challenge however, with a lengthy spell of rain soaking the Corby circuit. The morning’s ten-minute warm-up became the only opportunity for both the drivers and their team to familiarise themselves with the characteristics of their Ginetta G55 in the wet conditions. Despite many weather forecasts saying otherwise, the sun appeared and suddenly teams and drivers were presented with a dry track meaning slick tyres became the obvious option to start the race on. Aleksander Schjerpen started the race for the team, with the Norwegian driver making a lightning start climbing two positions on the opening lap. Keen to make up as many positions as possible during his stint, Aleksander continued his superb run to pit the car in fourth position approaching the one-hour, half way mark. 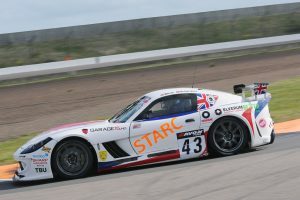 A well-executed pit stop allowed Birch to return to the track briefly in third, before controlling a solid fourth place for the majority of his stint. However a safety car period approaching the final 15 minutes of the race would spell disaster for the team. With many cars around them on fresher tyres, they were now presented with an opportunity to capitalise on the bunched up field. Falling to seventh after the restart, James continued to battle for position but remained in seventh as he crossed the finish line.